"Gail Godwin," Encyclopedia Britannica, 2004.
born June 18, 1937, Birmingham, Ala., U.S.
American author of fiction about personal freedom in man-woman relationships and the choices women make. 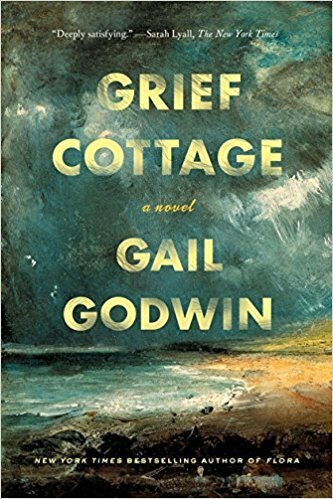 In childhood Godwin lived with her divorced mother, a writer and college literature teacher who was the model for some of Godwin's strong female characters. Godwin studied at Peace Junior College, the University of North Carolina (B.A., 1959), and the University of Iowa (M.A., 1968; Ph.D., 1971). She wrote about women smothered by marriage in the violent novel The Perfectionists (1970) and Glass People (1972), which features a wife prevented from ever making decisions. The protagonist of Godwin's widely admired The Odd Woman (1974) is a college teacher who attempts to come to terms with her family and her married lover. The three principal characters of A Mother and Two Daughters (1982) are personally close yet grow in separate ways to self-fulfillment. Godwin also wrote Violet Clay (1978), The Finishing School (1985), A Southern Family (1987), Father Melancholy's Daughter (1991), and The Good Husband (1994). In Evensong (1999), a sequel to Father Melancholy's Daughter, Godwin examines family ties and religious faith. "Gail Godwin." Encyclopædia Britannica. 2004. Encyclopædia Britannica Premium Service. 30 Mar. 2004 http://www.britannica.com/eb/article?eu=98883. "Gail Godwin" Encyclopædia Britannica from Encyclopædia Britannica Premium Service. http://www.britannica.com/eb/article?eu=98883 [Accessed March 30, 2004]. "Gail Godwin," Who's Who in America, 2004. Weeks, Carl Solana. "Gail Godwin (18 June 1937-)" 105-9 in American Novelists Since World War II, Second Series, ed. James E. Kibler, Jr., Dictionary of Literary Biography, vol.6. Detroit: Gale Research, 1980. "Gail Godwin," by Jane Hill, Dictionary of Literary Biography, vol. 234. [a recent thoughtful assessment of Godwin's collected short fiction], 2000. "Pas de D(i)eux: Duplicitious Synthesis in Gail Godwin's Father Melancholy's Daughter, by Kerstin Westerlund-Shands, The Southern Quarterly, Spring 1993. "Fore-telling, Fore-told: Storytelling in Gail Godwin's The Good Husband, by Kerstin Westerlund-Shands, The Southern Quarterly, Winter, 1997. 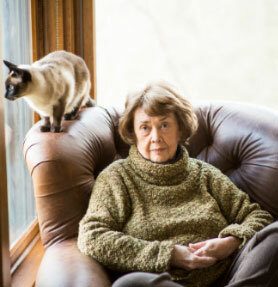 "For Better For Worse: Attractive Nuisances and Unifying Tension in Gail Godwin's Evensong, by Kerstin Westerlund-Shands, North Carolina Literary Review, October 2000.